The book shop has installed the piano outside their shop as part of Kenilworth Arts Festival, which starts on Thursday, September 20. Visitors to the town are encouraged to channel their inner pianist and fill Talisman with music. 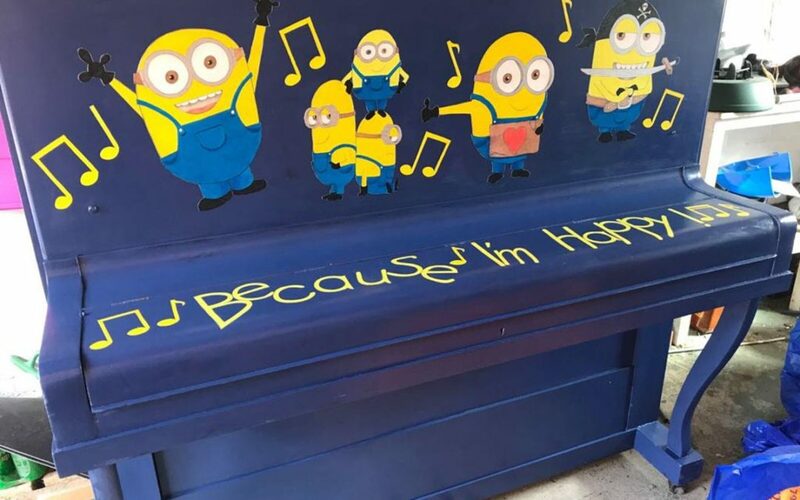 Judy Brook of Kenilworth Books said: “We have been inspired by pianos placed at Heathrow Airport and St. Pancras Station in London which have become a real feature in the community. “It was donated by one of our customers and decorated by two wonderful local artists, Margaret Taylor and Janice Firminger.